Comments Off on Suites, Whirlpool Tubs, and Fireplaces, OH MY! 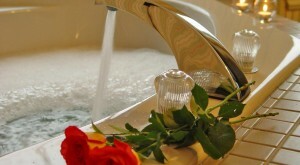 Suites, Whirlpool Tubs, and Fireplaces, OH MY! How many lodging choices in Madison, WI do you know of that have suites that come with a whirlpool tub AND fireplace? We were recently told by some very happy guests that they searched to find a place that had a whirlpool tub and fireplace in the room to celebrate their special occasion. 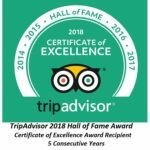 They said we didn’t originally come up in the search online, so here we are writing a blog to let everyone know that YES – The Speckled Hen Inn Bed and Breakfast has them! And in 4 out of 5 of our suites! Not only do the rooms have a whirlpool tub and fireplace, but they also have king sized beds! And there are many common spaces – like a theatre room, a guest galley kitchen, a game area, sitting rooms, balconies, a gazebo, and 20 beautiful acres outdoors to explore and enjoy! Our suites are also furnished with plush towels, bathrobes, and oh so comfy beds with luxurious linens that await after you have soaked your stresses away. Top that off with a multi-course gourmet farm to table breakfast in the morning and you will be rested, relaxed and rejuvenated. Maybe not ready to leave, but definitely wanting to come back. Book a stay with us and see for yourself!